Many generous donors have helped VocalEssence raise $17,352 to cover the cost for 694 students to attend the WITNESS Young People’s Concerts this February. 6,567 students from grades 4 to 12 are expected to attend the two concerts February 16 at the Minneapolis Convention Center. Each ticket costs $28.50, so VocalEssence asked in November for help in making the concerts affordable for schools. 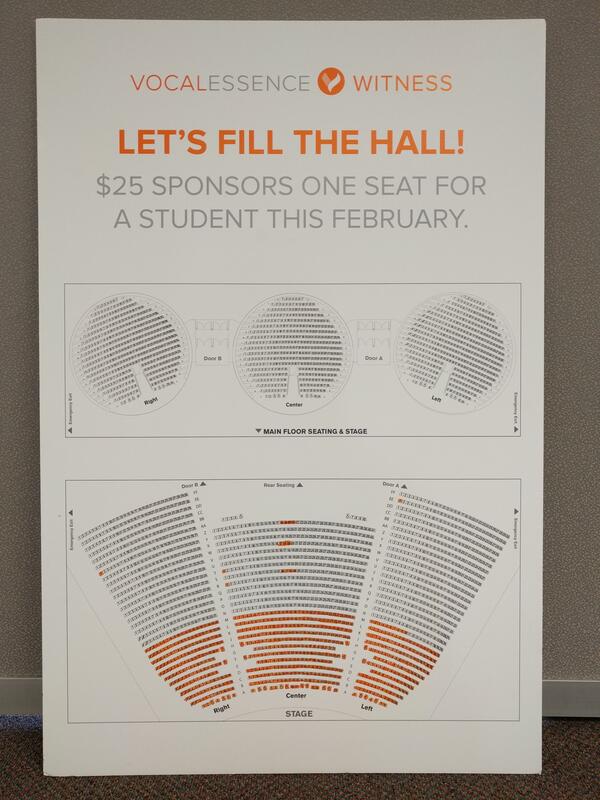 With each $25 seat sponsorship, schools only pay $3.50. There’s still time to sponsor a seat (or two!) for these events. Help us fill the hall! Consider giving a donation here to help make the arts more accessible for young people.